Do you ever feel like women with glowing beautiful skin know a secret you don’t? And if you only knew their magic formula your skin would be gorgeous? If there’s one thing that will change the appearance and texture of your skin it’s water. Consider a grape, round, plump, and smooth it’s filled with moisture. What does a grape become when dehydrated? A raisin wrinkled, dry, and old looking. The same applies to our skin when we have enough water on the inside our skin plumps up and is smoother. The fastest quickest way to improving the overall appearance of your skin is to get your 8 glasses a day! Do you know what your putting on skin? The women who glow do. They read the ingredients to make sure the products they are using are benefiting their skin, and not doing the opposite. Sounds like we are up cycling some furniture when we talk about DIY but we are talking about DIY skincare. The truth is you can make a ton of good for your skin products that are better and cost less when you shop at the grocery store rather than the department store. Try a home spa day with a few DIY masks and moisturizers you’ll be pleasantly surprised at how great your skin looks and how little it cost. If you take only one of these secrets with you on your journey to better skin it should be sunscreen. The UVA/ UVB rays from the sun do a tremendous amount of damage daily. You may already wear sunscreen, but the real question is do you re-apply? It’s the re-application throughout the day that staves off aging. Sunscreen wear it and re- apply, it will make a difference. Using a mild cleanser with warm (not hot water) cleanses your face when you wake up (that includes after naps), after sweating, and before bed. Perhaps you’ve had a facial and have experienced the relaxation and hydration that comes from steaming. 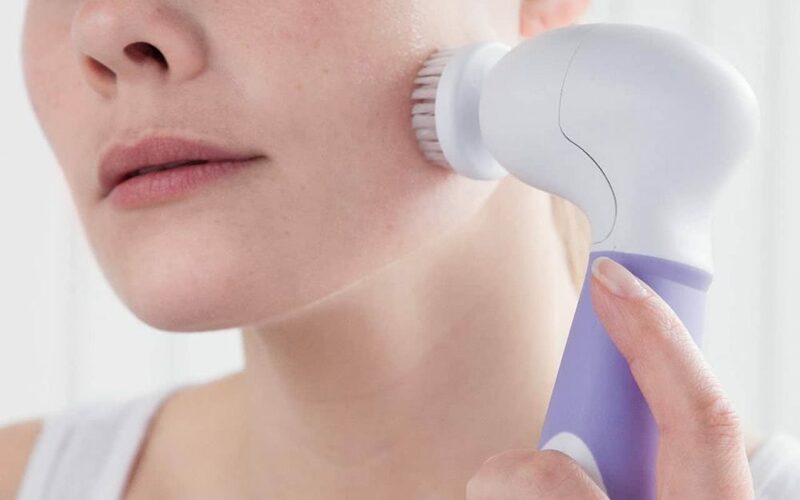 Do an at home steam and reap the benefits of cleaner pores, added hydration, and a little relaxation all while getting the glow that comes with steam. So you tried a DIY mask… but consider the insider trick of Double Masking to get salon quality results. It’s as simple as it sounds choose two masks either store bought or DIY with the benefits you want to achieve and do them both one after the other. Try using a sheet mask followed by a cream mask to see some real hydrating results. Another amazing service that happens during a facial is massage. Massage has a myriad of benefits that include increased blood flow, and muscle stimulation. Add a mini massage to your skincare routine while your applying your night cream or a moisturizer and enjoy the benefits and relaxation that come with it. Yes, it’s terrible for your lungs, and just as terrible for your skin. If smoking is a regular habit talk with your physician about safe ways to stop. You’ll see improvements in your overall health and your skin! Stress is a regular part of everyday life and you may not know that it can affect your skin. Skin diseases like eczema, and psoriasis are often linked to stress. Finding healthy ways to manage your stress can improve your overall health as well your skin. Consider meditating for 10 minutes daily to gain some balance and approach stress management in a new way for the new year. Your skin will be glowing in no time!